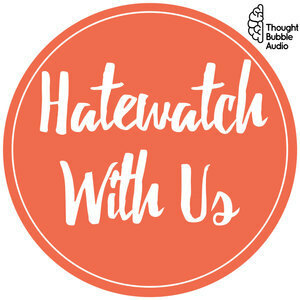 We found 1 episode of Hatewatch With Us: A Variety Show for Sarcastic People with the tag “maxfun”. Even though we're on semi-hiatus, we're still here bringing you spicy hot new content! Actually, this content is very old, and we're just bad at editing these days. This week's episode pulls from our favorite grab bag, the one that Pop Culture Happy Hour fans unknowingly created for us. First, we get into things we refuse to watch, and we learn that Kirstie has beef about content that people love too deeply. Then, we talk about regrettable hobbies, which turns out to be a regrettable segment topic too. But we make the best of it and spend most of our time discussing puzzles. Be sure to stick around after we say goodbye to catch Kelsey's best/worst Freudian slip of 2018!